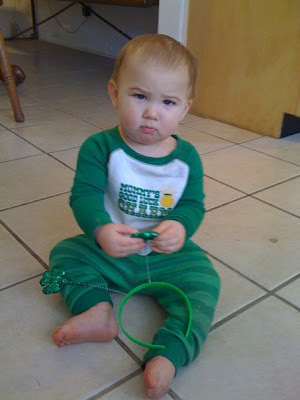 Just wanted to share a few fun pictures from St. Patrick's Day. 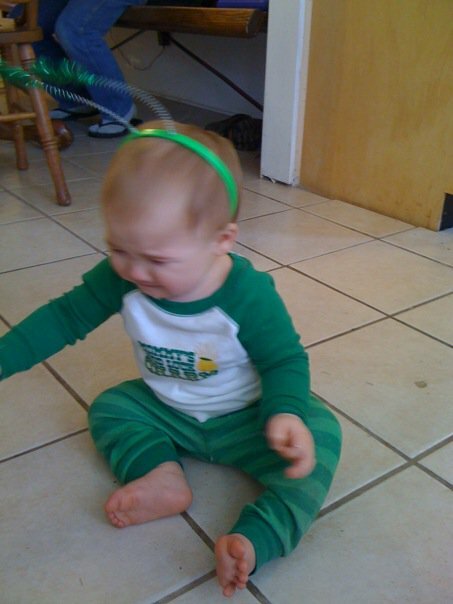 Yeah...Jax was NOT a fan of the shamrock headband. 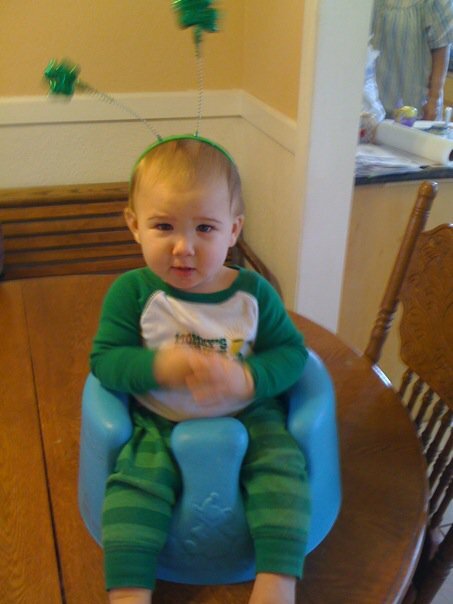 :) I love him.